You've made a big difference - thank you! 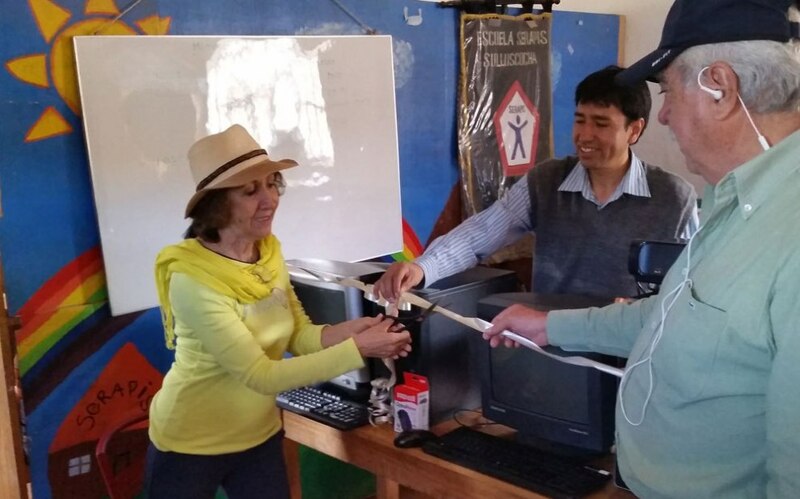 The start of a new school year at Serapis School in Cajamarca, Peru brought a welcome surprise to students returning from break – a computer lab equipped with six computers, two printers and a projector! A celebration including a ribbon cutting ceremony was met with cheers as the 45 students attending Serapis couldn’t wait to get their little fingers on the keyboards and mice and begin learning skills that will help them succeed in our technology-dependent world. The Fair Indigo Foundation has partnered with Elsa and Javier to support Serapis, an elementary school in the high Andes of northern Peru. Before Javier and his brother started the school, children had to walk several miles down the mountain to the nearest school, resulting in well-under-potential attendance and graduation rates. The Foundation helps support the school by providing funds for teachers’ salaries, school supplies and books, and building improvements including indoor bathrooms. The Foundation is funded by $5 donations at checkout and the support of Fair Indigo. This is huge! 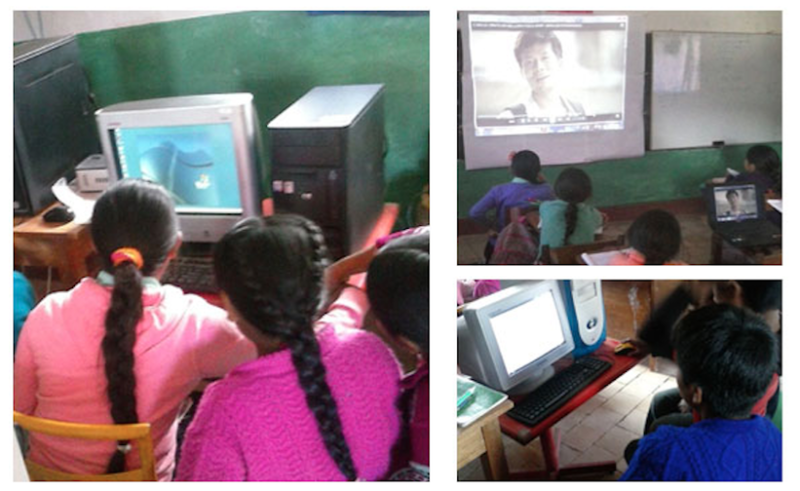 After getting electricity installed last year, having computers and projectors is a major leap forward in these kids’ and this community’s lives. Thank you!